RMSTITANIC had the most liked content! 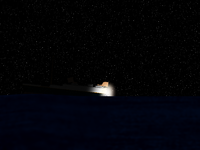 Titanic, Slender, Human Body, and SPACE. Also anything to do with explosions. Don't have one yet, still working that out. I have an Xbox One X... and an Xbox 360. Maybe you have heard of the game going around recently? You know... Baldi's Basic's? Video games you know about or play? I don't know why I chose to do this. I honestly don't know. But still, this is the Grand Theory of Everything. It's been ages since I last posted here; I'm going to start posting art again, so I'll have something ready soon. Ok, maybe not that big. I thought I would quickly revisit one of my old arts and make some changes to it to make it look a bit better. This brings back memories. Something different and big is coming, which is why there is a lack of stuff recently. I promise art will be here soon. I've just had a lot to do recently, so I am a bit overwhelmed. It will be done soon. I promise. I'm getting distracted. I must focus! Beta version, might as well post it to keep you occupied. It's kinda cool. I might have that as an art. The angle was at 90 degrees, so I think what is happening is that it is trying to render a 2d plane at a view where it is edge on, but it can't it try's to render 91 degrees; though it freaks out cause it can't do that. Same as before, but a more creepy and glitchy version.